Bang Bang, TEDx came to town. 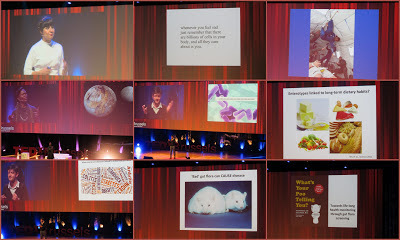 This year's amazing TEDx Brussels was all about science, entrepreneurship, health and education. This was a recipe for success as the event had a full house of over 2,200 of curious minds, a stage full of astonishing speakers and a dedicated TEDx Team. 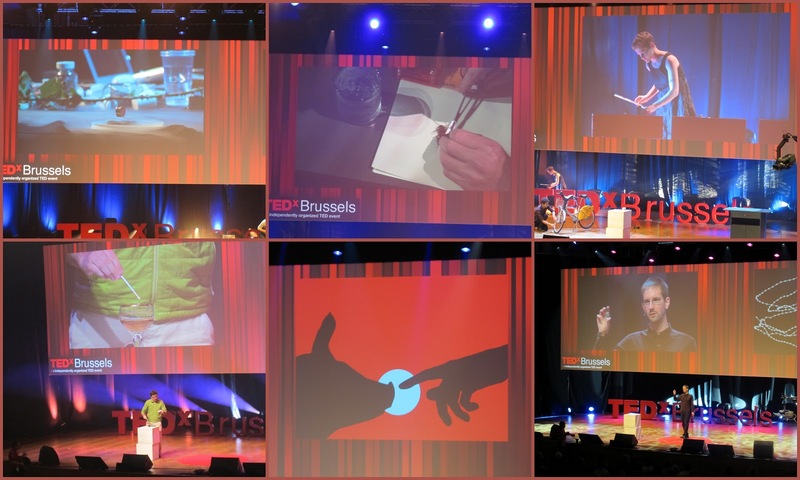 TEDx Brussels 2012 was as high-level as any TED event, with the advantage of having a pinch of Made in Belgium stories. One line of thought was clear in most of the talks: collectivity is power! Entrepreneurial projects can be born from the joint work of a dedicated community, even a scientific one. More and more bright amateurs are becoming aware that science is not unreachable and that you can even sequence DNA in your dorm room. If you want to know more, just check the nearest Hackerspace. Two of my favorite talks were about materials... maybe because I'm a scientist myself and I'm always amazed about how the microworld rules the macroworld. Zoe Laughlin from the Institute of Making showed us the insights of metal crystals and created a magnetic ceramic right in front of us! Designer Yasaman Sheri told us about living materials... can you image leather made from fungi mycelium? So cool, right? There was a lot about education and health too and ideas that should inspire us to think outside the box. For instance, schools should not be isolated entities but should interchange ideas with the community, as suggested by Ben Kestner from St. John's International School in Belgium. Or as Rudy Pauwels, from Biocartis SA, mentioned "the future of healthcare is personal and will require acting together". It has been a long time since I sat in an auditorium for a full day and just listened to (so many) inspiring talks. From the presence of one of the parents of Apple, Steve Wozniak, to the final Storify story by Xavier Damman, there was hardly a moment where I wasn't delighted. And the performance of the chorus Scala was another pleasant surprise. Check out the videos online and more photos here. And don't forget that we all are the media, because "the best reporter is not the most professional one, but the one who's at the right place at the right time".